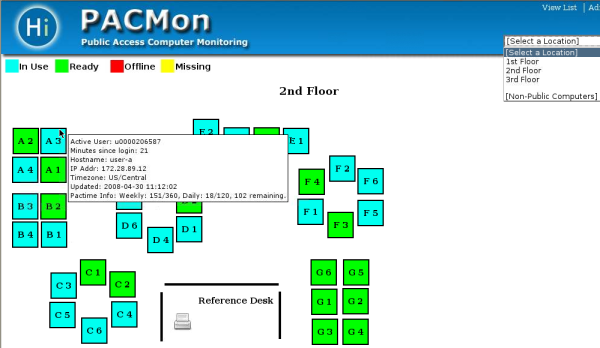 Monitor all of your computers with PACMon. See which machines are being used and which are free. Machines are represented in a map resembling your actual location and larger locations can have multiple maps. You can see who is logged in and their session time and quota information. Your staff can easily see/share user's screens remotely from any web browser.